California native, Michael Reardon is a Signature Member of the AWS, NWS, Watercolor West, and CWA. Formerly an architectural illustrator, he's an avid plein air artist who has been painting watercolors for over 25 years. In this workshop, Michael will share his insights into painting light and color in landscapes and seascapes. He'll show ways to simplify dynamic compositions. 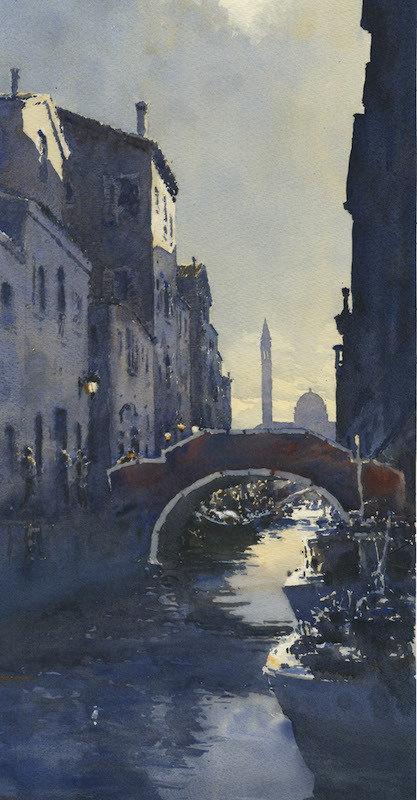 He'll cover the use of a limited palette, color mixing, and the use of light and value to describe them.